Spectacular beaches and the warmest ocean waters north of the Carolinas are among PEI’s star attractions. But how are they for running? The white sand beaches on the northern side of the island are beautiful, but not ideal for running due to the softer, finer quality of the sand. The red sand beaches on the southern part of the island are better for running, as the sand here tends to be firmer and more clay-like, especially around low tide. Note that the red sand beaches can be very narrow at high tide. 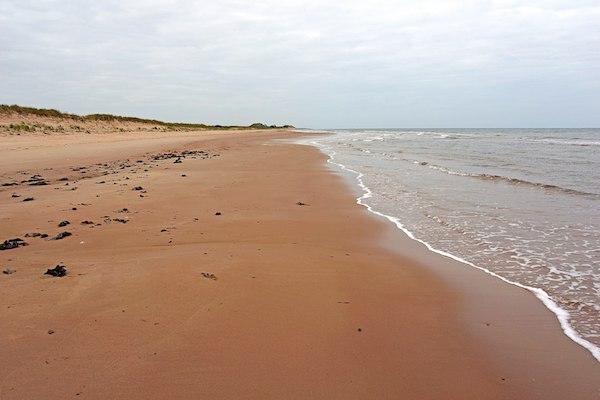 Some of the best red sand beaches for running include Argyle Shores, Canoe Cove, and Chelton Beach. Tea Hill Beach, which is 9 km from Charlottetown, is also a great spot.